When legendary saxophonist Sonny Rollins was interviewed by Mojo last year he spoke of jazz’s lack of mainstream success. “I’m glad it’s not popular” he declared, saying that a world of “ignorance, killing, hatred, bombing” doesn’t deserve jazz – “jazz has nothing to do with this world. Jazz is bigger than the Earth”. It’s a bold statement with a romantic sentiment, but it doesn’t help those jazz musicians, club owners and promoters trying to make a success of themselves here on this Earth. Despite the genre’s niche appeal, around the UK a number of excellent small clubs ensure jazz’s grassroots scene is well catered for. In London, the Vortex Jazz Club is something of a flag bearer, hosting a broad range of jazz – from standards through be-bop and hard-bop to spiritual jazz and the more avant-garde – in its intimate 100-capacity room. Other great clubs around the country include Fleece Jazz in Bristol, The Verdict in Brighton, Oxford’s Spin Jazz, Jazz at the Cavern in Farncombe, Wakefield Jazz, and Jazz at The Crypt and Spice Jazz, both in London. Festivals such as the EFG London Jazz Festival and Cambridge Jazz Festival are also keen to support up-and-coming artists, often programming events into smaller clubs alongside their larger shows. These clubs don’t have it easy though. 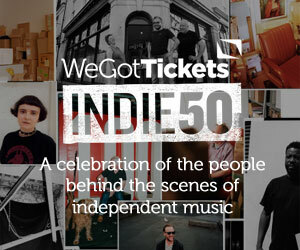 Speaking to us after being voted onto our INDIE50 – a list of individuals doing amazing work behind the scenes in independent music – the Vortex’s general manager Kathianne Hingwan spoke of the tough times they’re experiencing. “It’s a bit of a hand-to-mouth organisation” she explained, “and that’s because there isn’t really that much money in jazz. Ronnie Scott said that if you want to make a million in jazz, you need to start with two – it was meant to be a joke but it’s actually true”. Although the challenges facing the grassroots scene are numerous – jazz clubs obviously suffer the same well-documented stresses and strains that are affecting all small venues – it’s imperative that these independent clubs are successful. Their importance to the whole jazz industry can’t be overstated. “The guys from Ronnie Scott’s come over here, and when we thought we might disappear about 18 months ago they were very worried”, remembers Kathianne, “They said that we couldn’t disappear because it’s very important what we do, because we give a lot of the young musicians their start”. One of the ways in which jazz can grow is by reaching younger audiences, and giant steps forward have been made over the last year or two. In London, new artists such as Moses Boyd and Binker Golding are turning heads, and this year’s Mercury Prize nominations included Dinosaur and their brilliant Together, As One album. Those artists are part of a burgeoning scene of progressive jazz musicians who are helping to bring the genre to a new audience, turning young people on to the likes of Art Blakey, John Coltrane, Ornette Coleman, Max Roach, Pharoah Sanders, Chet Baker, Alice Coltrane, Thelonious Monk and more. Further to this, globally successful hip-hop artists are embracing jazz: Kendrick Lamar’s To Pimp a Butterfly – a multi-million selling, Grammy Award-winning phenomenon – features a significant jazz influence, former Wu Tang Clan rapper Ghostface Killah released an album with young Canadian jazz band Badbadnotgood, Jay Z and Beyonce featured on the soundtrack to The Great Gatsby – where traditional jazz meets hip-hop head on – and Kamasi Washington, the band leader responsible for much of the music on the Kendrick Lamar record, has experienced great success in his own right with his hit album The Epic, leading to sell-out shows around the world – including at the Royal Albert Hall as part of last year’s BBC Proms. Away from hip-hop, jazz was also a major feature of David Bowie’s final album, with saxophonist Donny McCaslin and his band playing throughout. Even La La Land, last year’s biggest film (and a key part of all discerning outdoor and pop-up cinema’s repertoire this summer), was about a jazz musician – as was its director Damian Chazelle’s first movie, Whiplash. Jazz has found its way back into the zeitgeist. The extra exposure it’s getting in the mainstream media – much to Sonny Rollins’s irritation, no doubt – is having a positive effect. According to reports in Music Week, listening figures for Jamie Cullum’s BBC Radio 2 show are significantly improved, and ticket sales for large touring acts and old favourites are up. But is this upturn also true of the grassroots jazz scene? Our sales figures at WeGotTickets give reason to be optimistic. Working mainly with small clubs and festivals, we’ve seen almost a 40% increase in jazz ticket sales over the last two years. We have over 20% more jazz events on sale in September 2017 than we did in the same month in 2015, with more than half of that growth coming this year, and all signs point to a continued increase as small clubs are able to expand from one or two nights per week to a fuller events calendar. While the continued success of the jazz scene and the small jazz club shouldn’t be taken for granted, there’s certainly no reason to feel kind of blue about its future; it’s encouraging to see the increase in interest and of bums on seats at these venues. Jazz appears to be in good health. Run a jazz club and want to talk to us about helping with your ticketing and marketing? Get in touch here. Inspired to see some jazz? Check out our full listings, including some of the country’s best small clubs and festivals here. For more like this, follow @SGEndersby on Twitter. Couldn’t agree more! Volunteering in an area of interest and enjoyment helps with our own inner strength and passion.